Yoga, Meditation, Fitness, Detox Cleanse - Save $29 on Cleanse products when purchased in April! Plant the seeds for transformation! 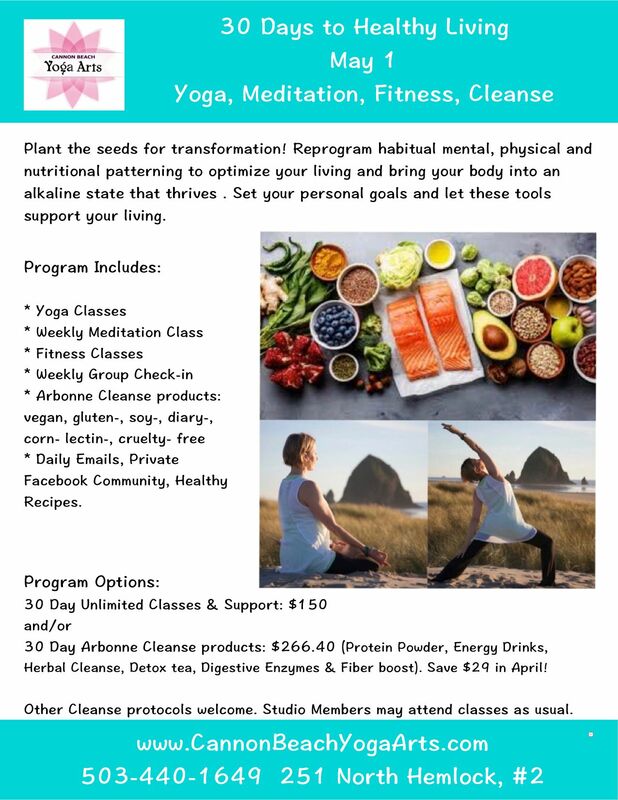 Reprogram habitual mental, physical and nutritional patterning to optimize your living and bring your body into an alkaline state that thrives. Set your personal goals and let these tools support your living. This program is not a diet, but a lifestyle reset and reboot. Eliminate all acidic foods and drinks, support the organs to function optimally, and observe the effects of your daily choices - mentally and physically. Experience how even just 30 days can create huge shifts in health and overall wellness. You may join us at the studio for the physical and meditative portion. Or join us virtually with just the nutritional portion. Either way, I'm interested in supporting you on this journey. Daily Emails, Private Facebook Community, Healthy Recipes. 30 Days Unlimited Classes & Support: $150. No additional cost for current studio Members or pass holders. 30 Day supply of Arbonne Cleanse Products $266.40 ( Protein Powder, Energy Drinks, Herbal Cleanse, Detox tea, Digestive Enzymes & Fiber boost, free shipping and free gift). May use another nutritional protocol to participate. Kit will be ordered and shipped directly to your home. This is $29 off when ordered in April. Please plan 7 days for shipping. You may register for an Unlimited Monthly Pass online. Please call or email me directly to order the Cleanse or for more info. or call Cannon Beach Yoga Arts at 503-440-1649. Christen has been teaching yoga since 2002. Her approach to yoga is a blended one that is influenced by understanding yoga as an art and a science. Her primary teachers are Alan & Sarah Finger, ISHTA Yoga (Integrated Science of Hatha, Tantra & Ayurveda). Her teaching style is diligent about technique and alignment; inspired by beauty and grace; and warmed by humor and lightheartedness. 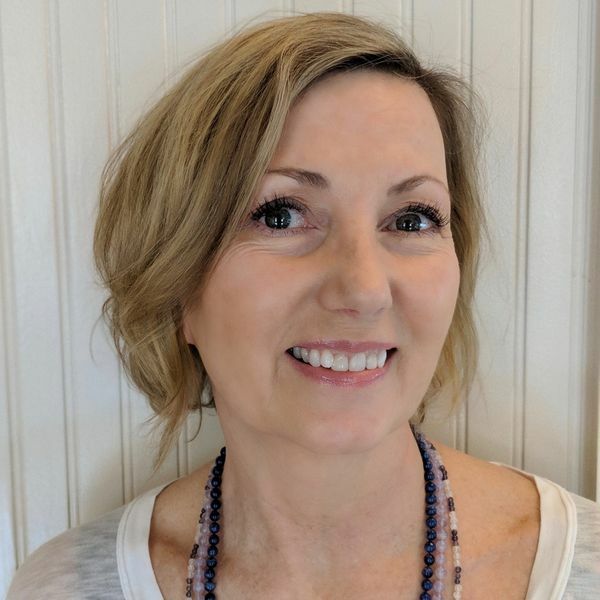 She is the owner of Cannon Beach Yoga Arts, and Founder and Director of the Cannon Beach Yoga Festival.